In medium bowl, mix vinegar, soy sauce, sugar, oil and pepper flakes. Add cucumber and bell peppers; toss to coat. Serve immediately or refrigerate up to 4 hours. 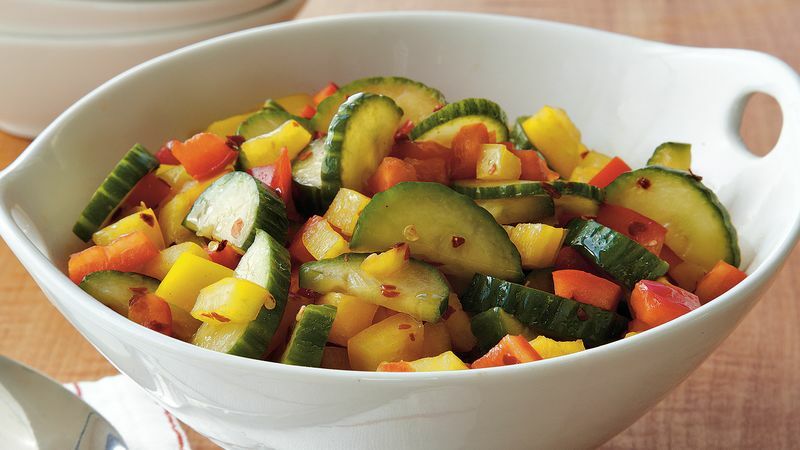 Serve this fresh cucumber mix over grilled chicken or fish.